It’s now a case of out with the old and in with the new. We are now four days into the upgrade and here you can see our six Barco 909 projectors finally removed from the dome and waiting to be shipped off. They certainly collected a bit of dust over time. 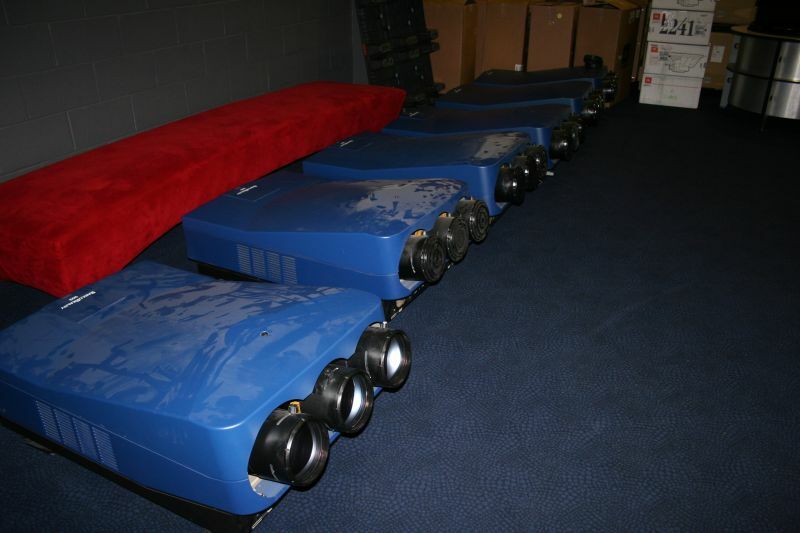 These projectors served the planetarium well and clocked up well over 20,000 hours of use in the eight years since they were installed. Vale the Barco 909s. And here is one of the new JVC D-ILA projectors already mounted onto its stand and in position. A very discreet, and rather non-descript black box indeed. There are still hundreds of metres of cabling to be installed before the projectors will be switched on. Exciting times ahead! 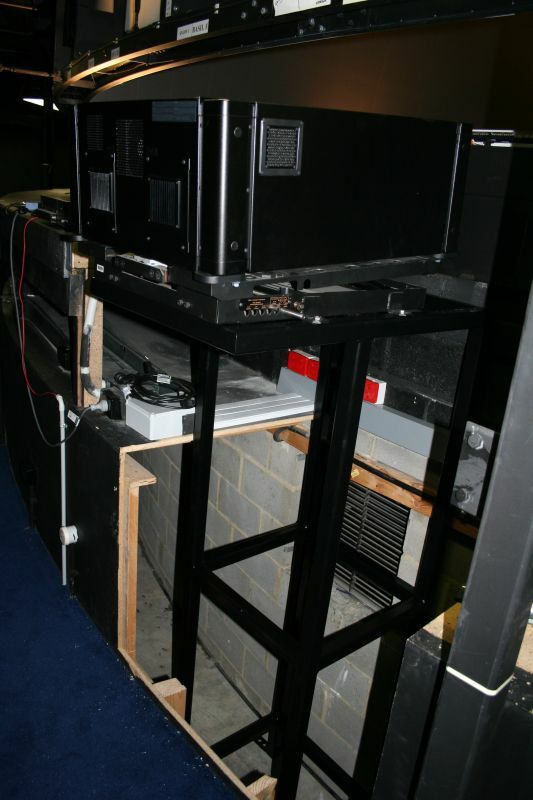 This entry was posted in Uncategorized and tagged Barco, Melbourne, Projector, upgrade. Bookmark the permalink.